More and more drivers are looking for used SUVs between $15,000 and $20,000 for sale in Phoenix, AZ. There are plenty of options, with ten SUVs with the highest overall scores from U.S. News including the 2010 Chevy Tahoe, 2012 Buick Enclave, 2014 Honda CR-V, 2012 Cadillac SRX, and 2011 Mercedes-Benz GLK. That’s a range covering everything from luxury appointments to legendary off-road capability, and you can look to Cactus Jacks to find what you need. Why Choose Cactus Jack’s Automotive? With over 600 used vehicles in Phoenix and Tucson, drivers from Mesa and beyond see Cactus Jacks as their first choice for used vehicles. We’re generally the only option they need – with weekly specials and Buy Here Pay Here Financing, even drivers who have been turned down by other lenders can find competitive rates and drive home in their perfect used SUV without making compromises. 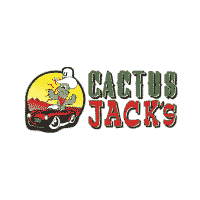 If all that sounds good, why not visit your closest Cactus Jacks used lot today to take advantage of our great deals and explore our comprehensive range? To find out more or arrange a test drive, simply contact one of our team members today. While you’re here, check out our list of the best cars for families. While you’re here, check out our selection of used Chevrolet Suburban SUVs, our popular SUV guide, and overview of the best used sports cars.